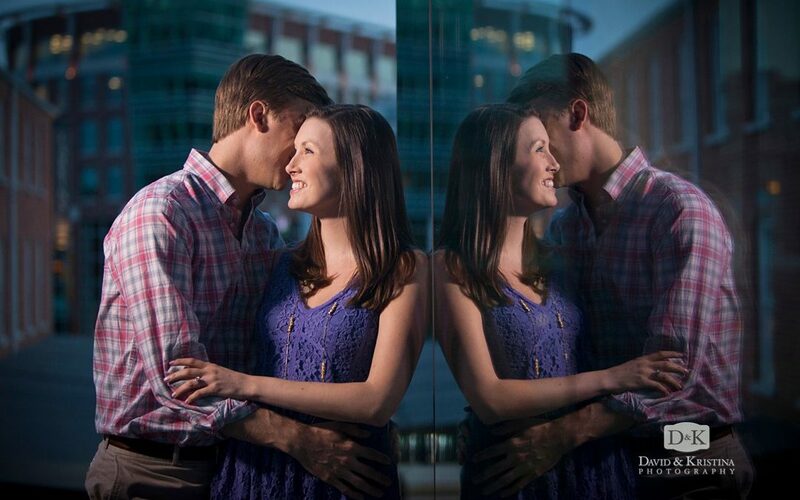 Kristina and I had a great time photographing Thomas and Laura’s engagement session! We met them for the first time at this session and we instantly connected with them. The session was off to a great start the second I pushed the shutter button on the camera for the first frame. We started in the West End of Downtown Greenville, right near the Muse 10 Photography studio, and made our way up Main Street stopping at some really cool little unassuming spots with great lighting. Perfect weather gave us a golden sunset providing a great backdrop along with some of the beautiful architecture near the Peace Center. So far this year, the weather’s been quite unpredictable, but we lucked up with some cool clouds and late afternoon sunlight for this engagement session with David and Melissa. 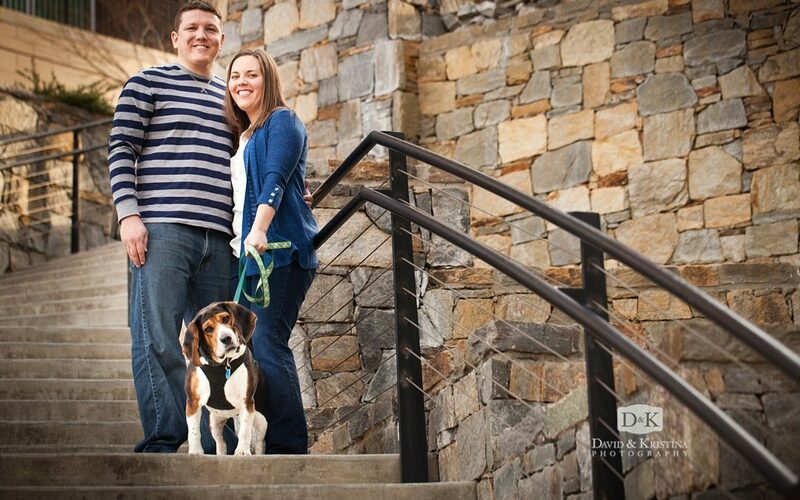 Another fun little part of the shoot was that they brought their dog…who by the way, was a little Houdini when it came to escaping from her halter leash! Look at those cute floppy ears though! Some of the photos down by the Reedy River at the TD Stage behind the Peace Center and with the Hampton Inn and Riverplace in the background are some of my favorites this whole season. Looking forward to doing lots more fun photos with this couple at their wedding later this year.